Dental bonding is a procedure in which a tooth-colored resin material (a durable plastic material) is applied and hardened with a special light, which ultimately "bonds" the material to the tooth to restore or improve person's smile. 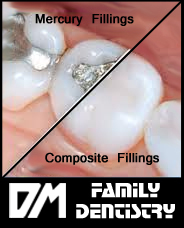 Bonding repairs a decayed, chipped, fractured or discolored tooth. The difference is: veneers are done at the dental lab, need proper fit; while bonding can be done in one single visit at dental office. Cosmetic bonding is an affordable, quick and painless way to repair: Gaps in teeth, Spots or stains, Chipped teeth.